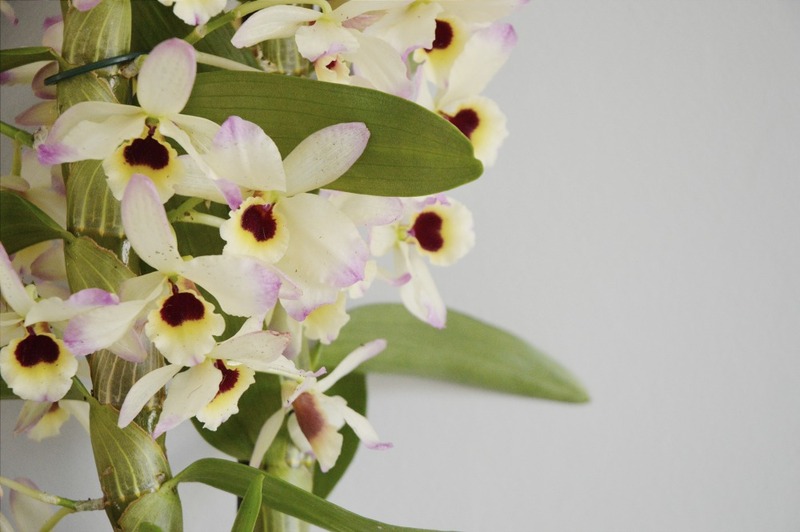 Orchids, tropical and mysterious but notoriously difficult to look after… When do I water them? With bottled water? Where shall I put it? Does it like direct light – and so on. 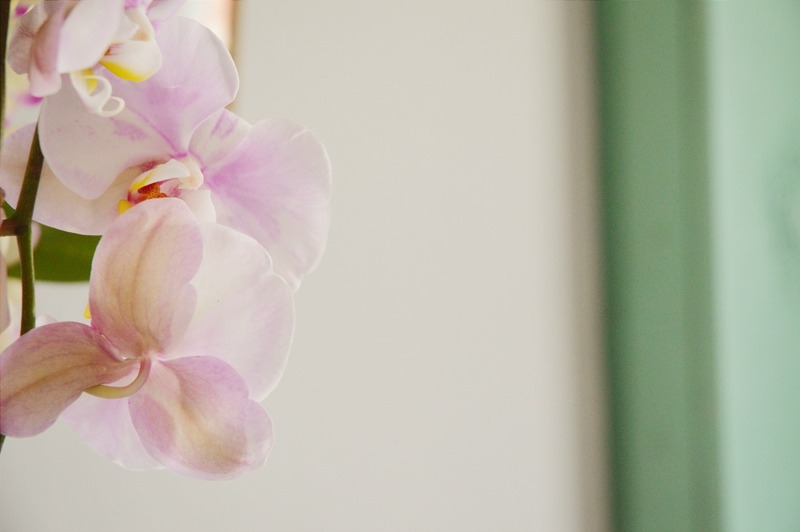 But despite all of that worry, the simple exotic beauty of an orchid does give an air of wonder to a room. I particularly love the white ones. So, how I have chosen to style these plants? Well I thought I would do two different ways, firstly a muted calming style. Very pale and dream like, focusing on pinks and whites. And for the second look, a more vibrant, tropical style. 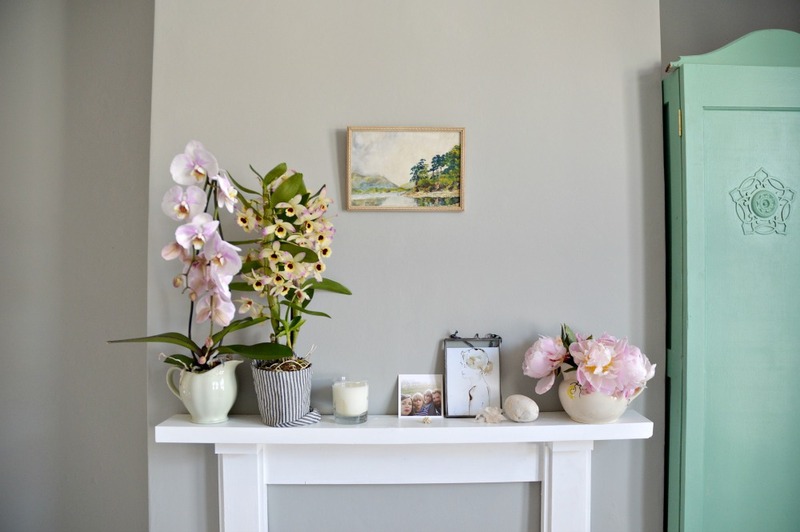 Both are styled using the mantel in my bedroom, as I thought the colours against the grey walls would look great. Using various containers and a ticking striped linen tea towel (obviously this would have to be removed when watering) I set to styling the mantel. 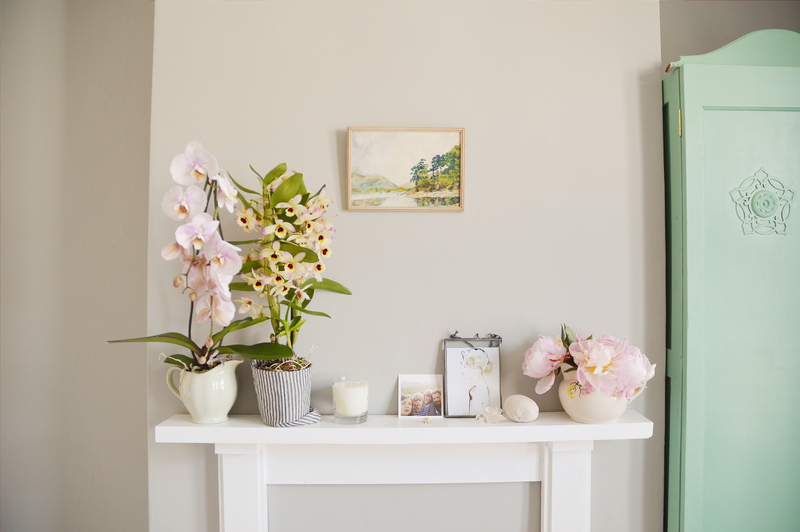 Firstly the pinks… pale pink butterfly blooms sat along side a picture of the four of us, a water colour painting and smooth marble pebble from a Cornish beach. The pink colour is then picked up in the peonies at the other end. Next I styled a more brighter, tropical inspired version. Using the more exotic looking varieties. Fuchsia pink and greeny yellow. Here, I have removed the previous mountain picture and added this circular mirror which I found at a flea market. To add to the tropical feel I have clipped a small bird to it. On the mantel I teamed bright roses in a glass bottle, a large curly shell and a watercolour painting that I painted years ago, to give it a bright tropical feel. The green flowers on the orchid to the right are spotted, almost spidery.. so strange yet incredibly beautiful too. Same room, different feel. Which do you prefer? Calm or tropical? I personally love the calm, but that’s me. 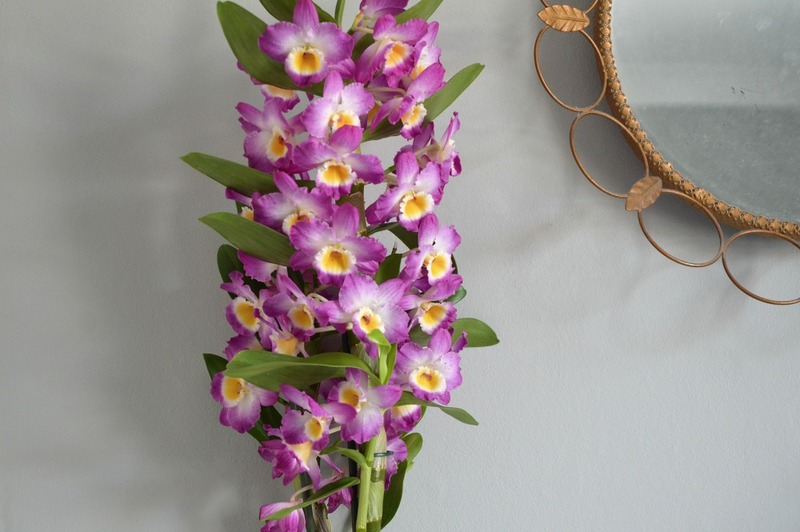 Orchids Info are offering FIVE orchids to giveaway to FIVE winners (one each) in a little Instagram competition. 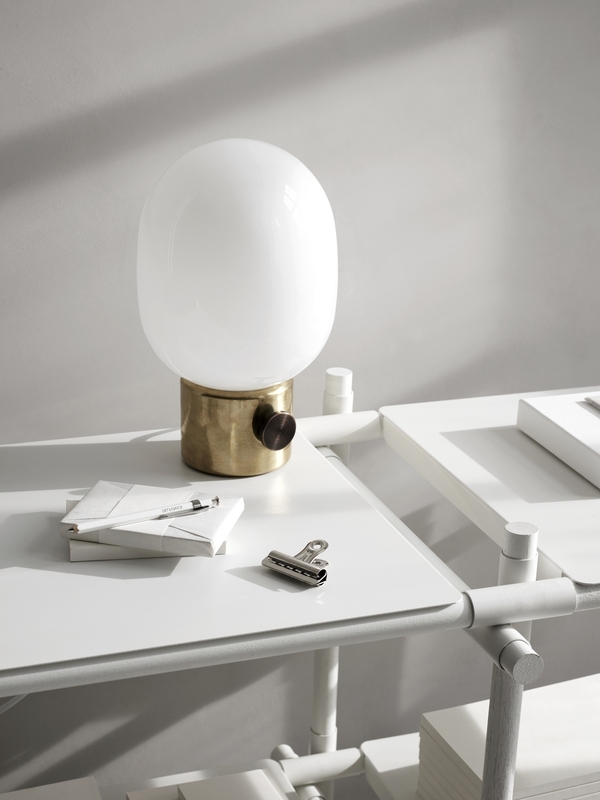 All you need to do is upload a styled image of a surface in your home, with the theme ‘The Art of Life’. 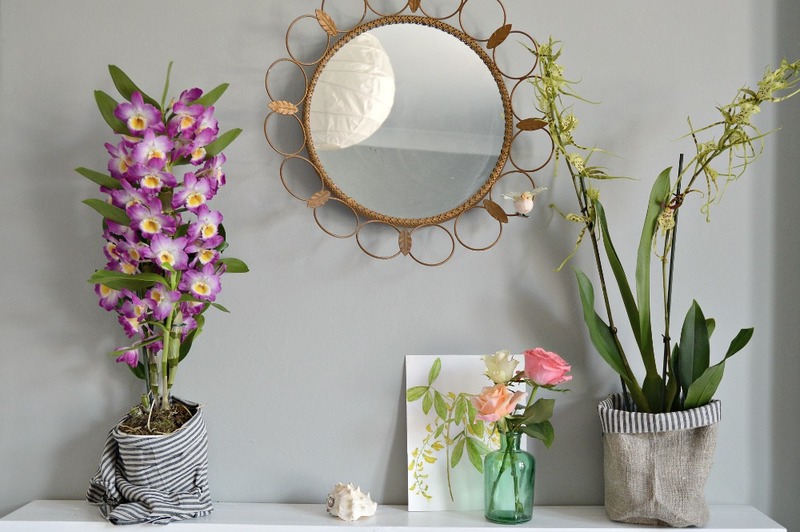 Using flowers, artwork, pictures, photographs – whatever you like. 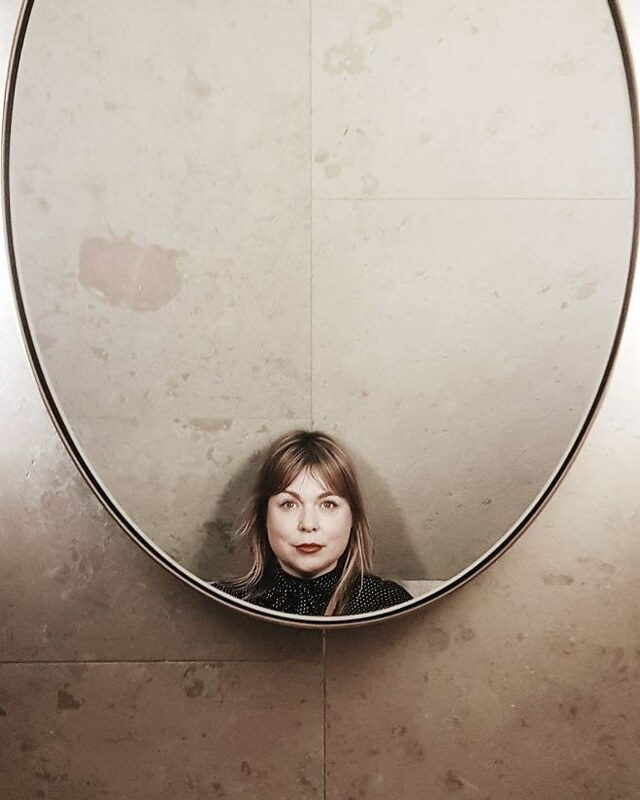 Please tag your image with #LGStheartoflife and follow both me @littlegreenshed and @orchidsinfo to enter the competition. The FIVE winners will be announced on here and on Instagram on Friday 3rd July. Good Luck! I am really drawn to the tropical styling….think it might be the sripes!! 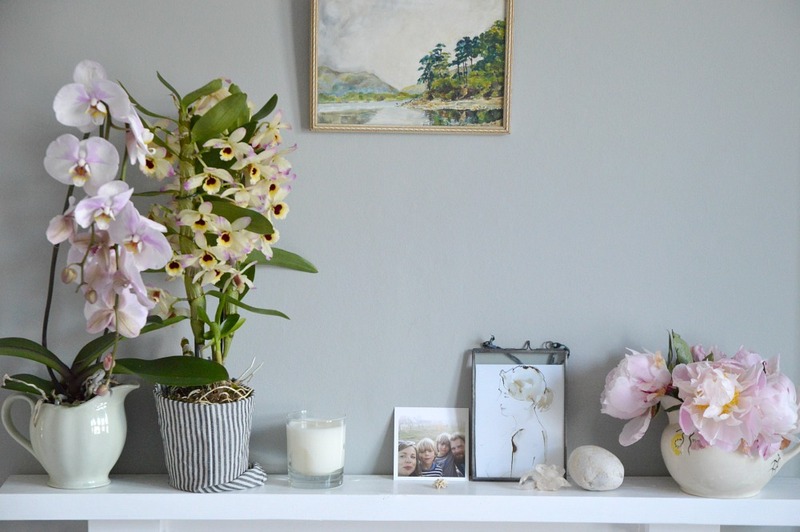 I always admire orchids but like you worry they wont survive, they are expensive too….